I’m about to write a post about laundry. My former 21 year is rolling her eyes in boredom. But alas, this is my new life. When we decided to cloth diaper, laundry became an unavoidable evil. 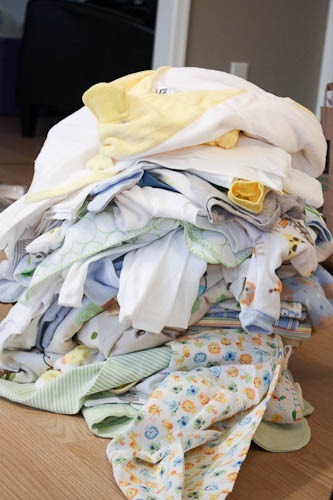 Cloth diapering is more of a financial thing for us, but the environment benefits are a great bonus. The environmental benefits are only maximized if you’re smart about your laundry. One of the ways to do that is to wash things in cold water. I never thought about whether that meant clothes didn’t get as clean as they did in hot water, but apparently that’s a common complaint. 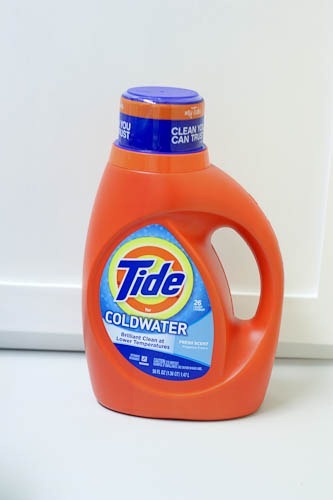 When I was sent some Tide Coldwater Detergent to sample I figured this was as good a time as any to get a jump on my laundry routine. It’s already a little crazy washing baby clothes right and left; I can’t imagine what it’s going to be like when I add the diapers to the mix. 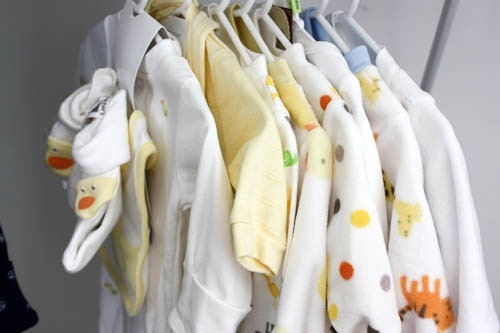 The thing about baby clothes is you have to wash everything first so you don’t hurt baby’s precious skin; then you wash them again again as they pee and spit up on everything in sight. I dug into the nursery closets, pulled the tags off everything, and got started. Then I started on the diapers. Those go through a few times. Once they’ve been used, they’ll need a hot water cycle to sanitize, but for a regular rinse, cold water works just fine. The verdict on the Tide Coldwater? I can’t honestly say I noticed I difference. However, it’s great to know that there are options out there specifically made to keep your clothes as clean as possible when using cold water. Considering how many times this things are going to be washed in the next few months, maximizing the cleaning power seems to be a pretty smart move. Disclaimer: I received compensation for this post but was free to write my own opinions. For my clothes and my husband’s clothes, I always do cold washes with our regular free & clear detergent. Unless you have a job where you’re getting sweaty, dirty or stained, there’s really no reason to wash your clothes in hot water. (Hence why you wash your dipes in hot water, but not everything else.) Our clothes never stink, always look fresh and clean. I feel like the cold water thing is just a marketing thing…it’s not really necessary. I’ve always done all my laundry in cold water because I’m paranoid about colors running. No issues here with regular detergent. Now we use free and clear for baby stuff so there aren’t any crazy scents or chemicals that could upset his skin. That is probably even more important with diapers than with clothes. You could always switch to cold water with your clothes to save money (if you’re currently using hot) and then use hot for the diapers. I’m 36 weeks pregnant (due march 2nd) and I was wondering, What is the easiest way to wash baby cloths? I did my first load of the new cloths the other day and once they came out of the dryer everything seemed crazy. It’s all so small!